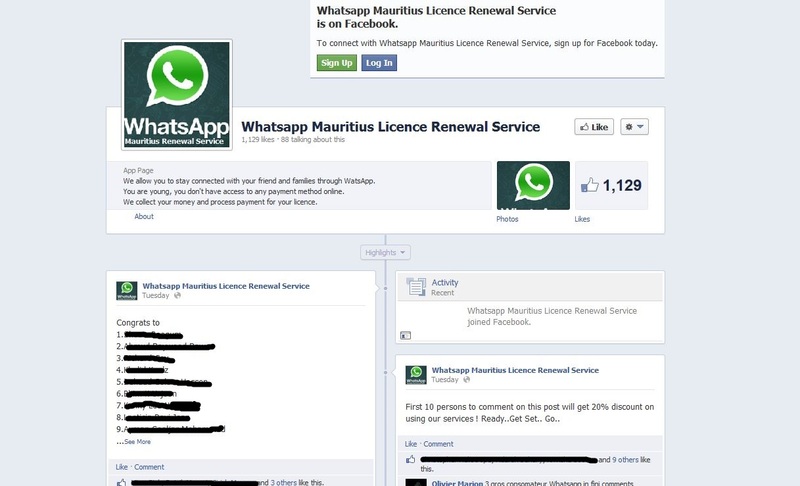 While browsing through Facebook today,we came across a new Whatsapp Facebook fan page titled as 'Whatsapp Mauritius Licence Renewal Service'. Several Mauritian were liking the page.As it was related to the renewal of the mobile messenger application,we were about to like the page too and follow the steps provided on it.To our surprise,we noticed that through the steps provided,a Google mail account was given for users to send their payment URL.We decided to get a better understanding of what really was going on.Going back to step one,they asked the user to mail them their name and phone number and on step three,they asked the user to send their payment URL to the same email address,which was,"renewmylicence@gmail.com". 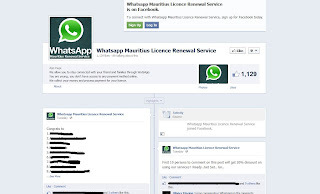 We immediately suspected that this was scam and contacted WhatsApp to alert them about this issue.They responded back by stating that this was really a scam and have contacted Facebook. We request you people not to follow the steps on this fake Facebook page.We have provided a screenshot of our conversation with a staff member from WhatsApp below.